Description: The carapace is dark brown to black not elevated in males. Legs are reddish brown and fairly long. Femur I is shorter than the carapace. Metatarsus IV is about twice as long as tarsus IV, but the metatarsi are shorter than the tibiae. The clypeus is slightly concave. 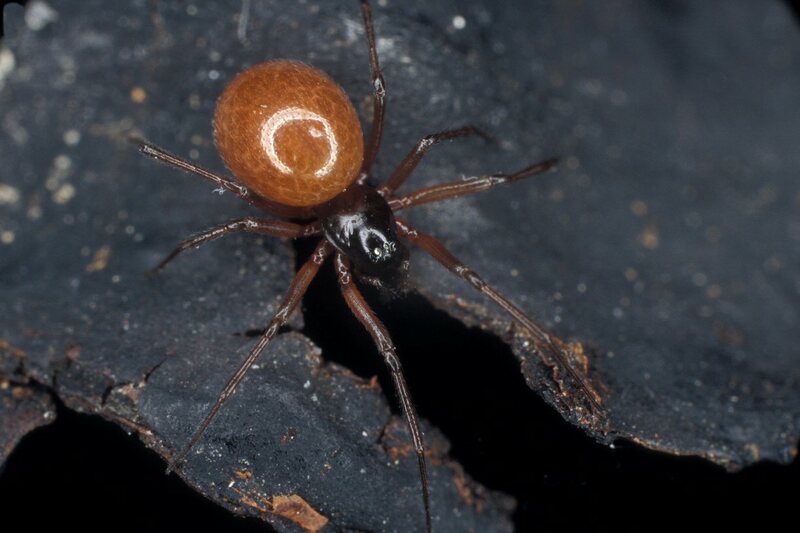 The male chelicerae is provided with a strong pointed conical tubercle with a bristle at its tip. 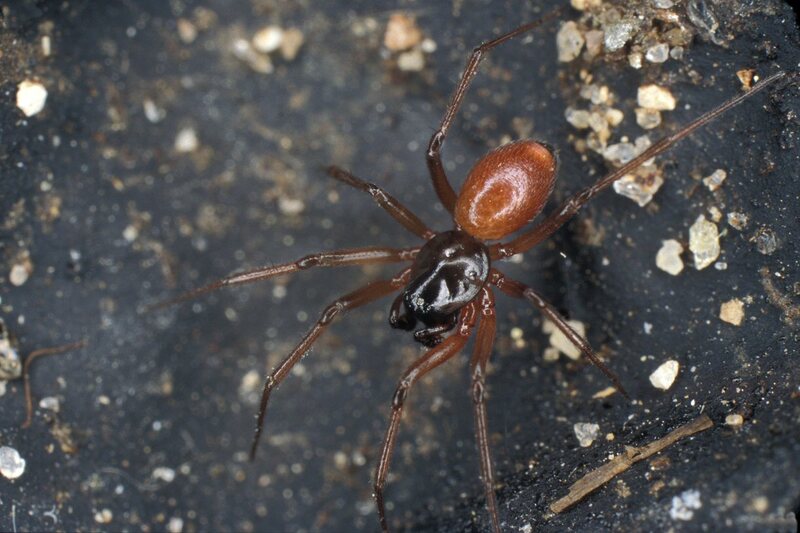 The chelicerae is thickened at the base and provided with conspicuous stridulating striae on the lateral sides. The tibial apophysis is bidentate and the epigyne lacks a free scape. 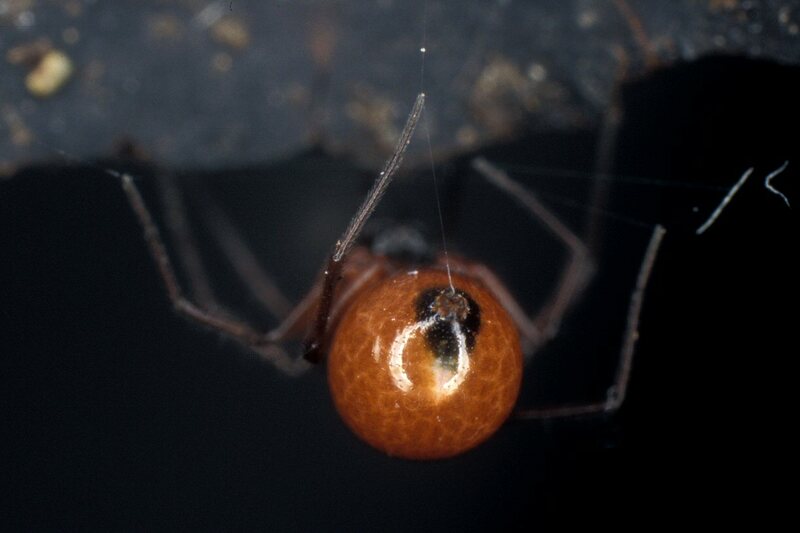 The abdomen is reddish with a black area around the spinners. Biology: The single European Size: Female 2.0-2.6 mm; male 2.0-2.5 mm. Genus: Ostearius (Hull, 1911). Characters of genus: All tibia with two dorsal spines but no lateral spines. Metatarsus IV about twice as long as tarsus IV. Male palp with tibial apophysis.